General assesment are usually done prior to laryngeal examination. The former includes detection of anaemia, breathing pattern, chest and heart examinations, and neurological assessment. The latter is usually performed traditionally by using an indirect laryngoscopy (IDL) technique in which the laryngeal view is seen via a reflected light onto a mirror while gently holding the patient's protruded tongue. Endoscopic assessment as an office procedure is routinely performed these days by using angled-rigid or flexible-endoscopes. Local anaesthesia spray to the throat or nose is usually given to enable better cooperation and to reduce gag reflex. However, most patients can tolerate rigid endoscopic assessment via the throat without the spray provided they’re calm enough and the procedure being performed gently. 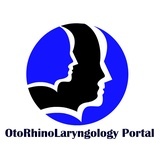 Present day video processor, visual display, and advance optical technology has made vivid visualization of larynx and accurate assessment of lesions possible. Video of laryngeal examination by using 70 degree rigid endoscopy. Endoscopic view of larynx by using a distal chip flexible scope at rest (left) and upon phonation (right). Videostroboscopy and voice analysis will be done in selected cases. In videostroboscopy, vocal fold vibrations become apparently slower by the illusion effect of flashing light provided by the stroboscope unit. This allow detail view of vibratory margin of the vocal folds and essentially useful in assessing mucosal waves propagations and subtle abnormalities. Speech language pathologist, neurologist, and laryngologist, are usually the team member involved in an established voice centre and they work hand-in-hand to ensure the patient's optimal management and best vocal outcomes.